Welcome to my story, 'Holding The Keys To Heaven' where Niccolo Moretti takes on his newest business venture into football for love rather than money this time around. “I think that should be that Niccolo, the last signatures are required from everybody here, including yourself and the club should be more or less exist from today onwards which is when you can begin to officially get the preparations underway,” said Sandro Cremona, the head of the Italian Football Federation. After several busy months the final documents were finally about to be sent off. “So, the club name – we obviously don’t want to cause any problems with that! Please can you confirm this to me that this is the correct club name?” said Cremona, sliding over the piece of paper stating my new club’s name. “Yes, that is correct,” I said, looking up. “So, do you need my signature here?” I asked, pointing towards an underlining with ‘Signature of Chairman’ written underneath it. I stood up from my seat on the opposite side of the table. “It’s been an absolute pleasure to work this all out with you. May I take all of your names again, please?” I asked. “Sure, I am Sandro Cremona – Head of the Italian FA, to my left, Antonio Cosentino – President of Serie D and the three directors of Serie D are to my right. They are Claudio Bocchietti, Alberto Mambelli and Sandro Morgana” Cremona reiterated. “Thank you, I’ll show myself out. Once again, a massive thank you for your help throughout this whole deal,” I said as I opened the glass door and headed out of reception, giving a nod to the receptionist for her assistance in the ordeal. In short, there would be a new club on the block in Italy in the 2016/17 season. A team in Italy not like any other currently in the league system. It will be beginning its adventure in Serie D following the news of A.C. Bra’s disestablishment after the 2015/16 season. This will be a club that will gain support all the way through the capital of Italy, as well as Catholics all over the world. I, Niccolo Moretti will be the president and currently, the manager of the team. I will be funding this team’s aspirations as far as my personal finances go, and even managing the matchday squad until I find a suitable, interested manager willing to take on my ambitions for this club. Welcome to football, Vatican City. Atoobie: Thanks dude, I must say I'm quite looking forward to this one! Niccolo Moretti was born in 1966 in Rome. He was born into a wealthy family and began to study under the guidance of his father who was an organist, with his father hoping that Niccolo would decide to take on a similar path in life down the musician route. However, aged 19 Moretti chose to study business marketing at Lebanon Valley College in Pennsylvania, USA. On completing his studies, he returned to Europe for work in the business sector. In 1994 he became joint-CEO of San Pellegrino alongside Pietro Fissolo after working at the company for three years beforehand. In April 1997, after the death of his CEO companion Pietro in an accident, he became the sole CEO. Moretti is a very successful businessman, with several sources touting his net worth at around €77million after he bagged the Chief Executive position at San Pellegrino – a globally renowned Italian mineral water company based in Lombardy. The businesses value sky-rocketed following Nestlé’s buyout of the company in 1997 by Perrier Vittel SA, a division of Nestlé which also owned the Perrier and Vittel bottled water brands. 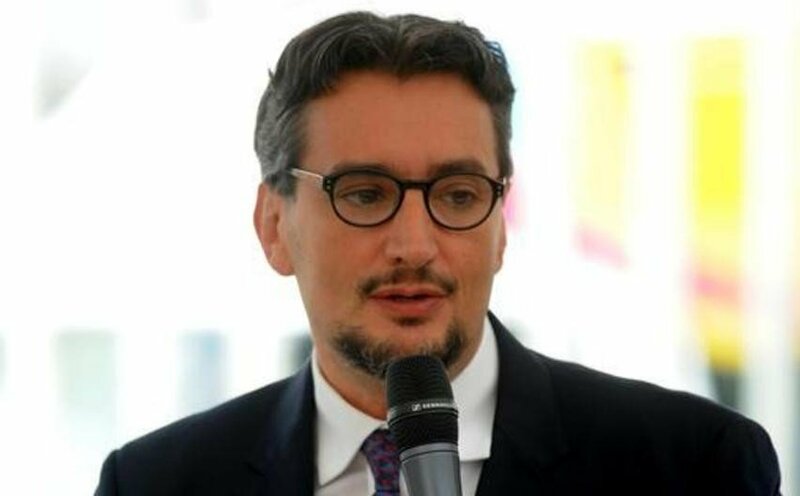 Moretti left his key role at San Pellegrino behind after 20 years involved in the company which managed to contribute almost entirely to his wealth he possesses today. Following his departure in 2011, Moretti left his northern home in Lombardy to return to his birthplace and Italian capital city of Rome. It was here where his love for football began aged 6 years old with AS Roma. But a long spell in Lombardy meant that he wasn’t available to attend many games as he had done in his youth, but as he moved back to his hometown his love for football returned. His love for the game meant that he passionately invested in the Italian game, becoming a minority shareholder of Parma Calcio in 2012, but lost all of his invested fortune as the club suffered a financial implosion starting in 2013, which was when Moretti instantaneously pulled out his capital in the club to recover as much money as possible out of the spiralling club. Only recently has Moretti reinvested his fortunes into a new sporting business, except this time he owns it as the sole majority shareholder. On 12th April 2014, the Italian Football Federation finalised plans for Moretti’s new club – Vatican F.C. – to play in Italy’s fourth tier Serie D from the 2016/17 season onwards. Although plans are currently unclear about management and player recruitment has been very slow as of late, Niccolo Moretti is very positive about the future of his new investment in the beautiful game. Interesting concept! Just hope that it doesn't start a goalie war...... ikr terrible! Anyways, nice start will definitely be following. Definitely going to be following this man! Great concept and looking forward to seeing your rise out of Serie D! C.J.Lippo: Thanks man, I can't wait to get started with it! ‘Come on, come on...’ I whispered to myself, with my teeth chattering against each other as the hairs on my arms stood up in the cold wind as if I had just received an electromagnetic shock. I was waiting for my first recruit in Vatican history outside a café in Rome. A close friend of mine, Daniele Ortolano was supposed to be arriving any time soon, I had told him to be here five minutes ago but there was still no sign of him. I knew Daniele during his time at Virtus Bergamo Alzano Seriate – a football club in Serie D. When I was working for San Pellegrino as the Chief Executive I would go watch that team as they were the most local to my location and on top of that, they were an OK team if you take into account the division they were playing in. But Daniele was the most promising player in that team by a long, long way. A 6’2” central midfielder that had the ability to either break up opposition play or play a perfect killer ball for his side. I am no scout but even I knew that Ortolano was a great talent for the fourth tier of Italian football, and he is only 21 years old. After Virtus Bergamo matches the players used to head into Lombardy for a few drinks and then go home to recover from their game that they played that day. Being the rich man I am, I like to have a few contacts within every trade from building sites to football and so I managed to get chatting with Daniele Ortolano on a regular basis. Being the football manager that I currently am until I find a man to take charge of football management instead of the president of the club, signing Ortolano would be a nice welcoming for any arriving staff to work with – that was if he ever turned up. After a quick phone call lasting at most twenty seconds, Ortolano confirmed that he was merely a minutes’ walk away from my position standing outside the café and he told me to grab him a coffee while he was making his way here. “You too, Niccolo! How have you been all this time?” he asked me while sitting himself down in the corner of the café so he was away from any windows. “The Italian Football Federation accepted my forms for a new football club that will play in Serie D from the 2016/17 season in the place of Bra. Not to say that this can’t be a friendly catch-up as well, but it was the main purpose of our meeting today.” I told him. “Wow. I’m surprised you didn’t get more media coverage down in Bergamo – especially in our local papers that usually cover Serie D quite a lot. That’s fantastic news!” Daniele said with a big grin across his face. “Obviously, it’s early days in the set-up and everything and that even includes me having to fill in as a football manager currently,” I told him. He seemed stoked, as if he was waiting for his offer to come up and gladly accept. “But the reason you are here with me today is because I think that you are an incredibly talented player, and I am aware that your contract at Bergamo runs out at the end of this season, making you a free agent. “But Mr. Moreno, what you are suggesting is illegal, it’s completely against my beliefs and the ideas that I have for this club... No, it is great that you have money that you want to invest, but the bottom line is that it is drug money... Illegal money! Listen, Mr. Moreno, I will consider your very kind offer – I really will. I just need time to think about this.” I put the phone down gently. That was an overly friendly Colombian drug lord on the phone. Yes, not what you get every day is it? Andrés Moreno leads a huge business in illegal substances and due to the laws around the world, vast amounts of money earned by drug trafficking does not go down well in court as you would imagine. As most people are probably aware, what drug barons like Moreno do with their money is they launder it through legitimate businesses. They earn their money through illegal drugs trade but filter the illegal money through a normal business like a corner shop to make it legal money that they made selling sweets and fizzy drinks in a busy part of town. But because of Andrés Moreno’s incredible fortunes he has to filter his money through big businesses, like for example a football club. Moreno claimed that he had heard of Vatican’s start-up through one of his contacts in Rome, Italy and he suggested that Moreno filters his money through that business. Because Moreno recognises the immense risk he is taking by laundering money through such a big business like sporting clubs, he has offered me a very kind deal. An extremely tempting one. Andrés Moreno says that he is worth $2.5billion and already owns many businesses; however he is offering the club $800million if he can filter through every $2billion he makes. That is approximately €735million at the current exchange rates from Dollars to Euros. Although it is an investment much larger than I could ever put into the club single-handedly, it is a huge risk due to obvious reasons regarding law enforcement and Moreno’s reputation all over the world as a notorious drug baron. Take the money, I say. You are reading "Holding The Keys To Heaven".